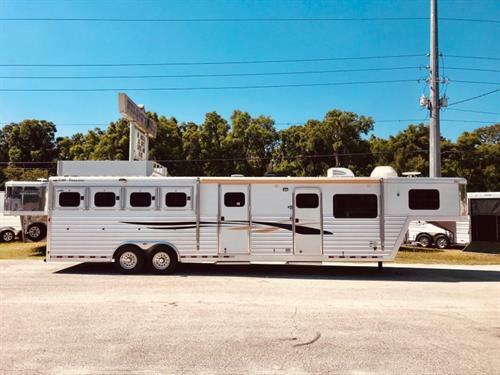 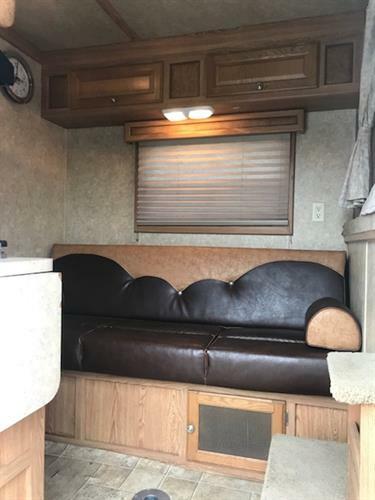 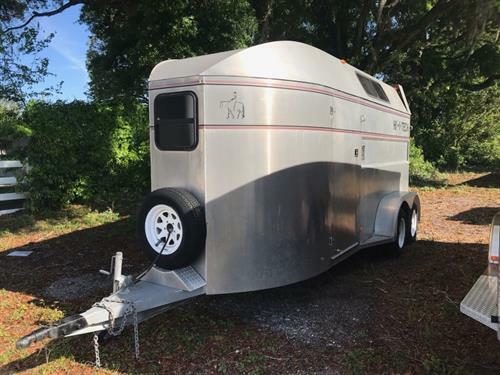 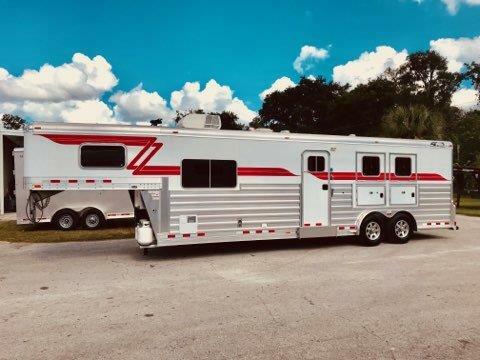 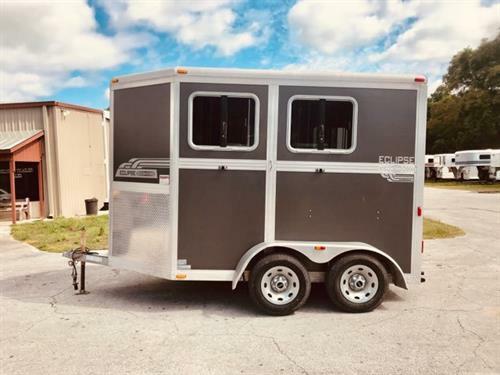 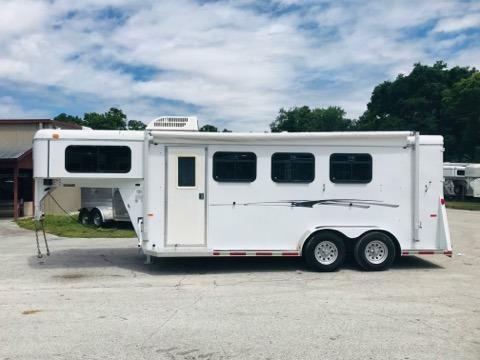 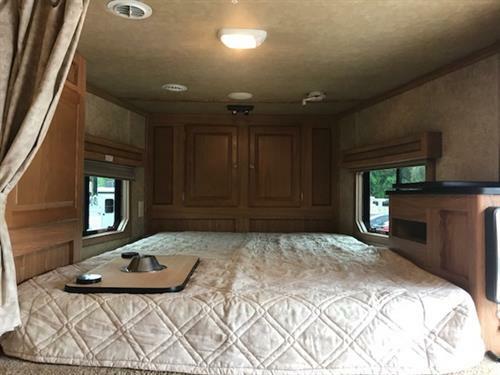 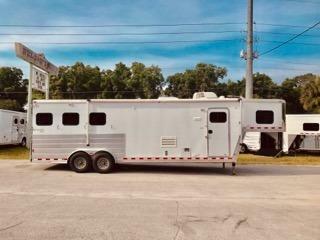 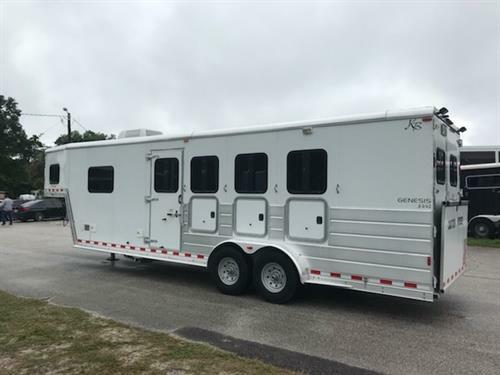 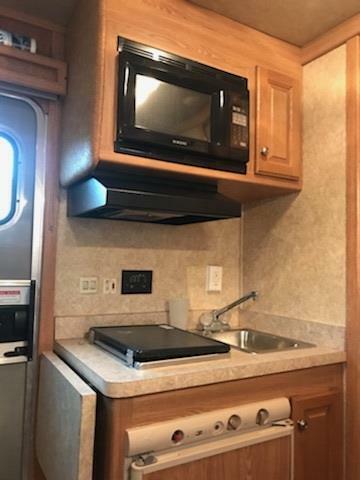 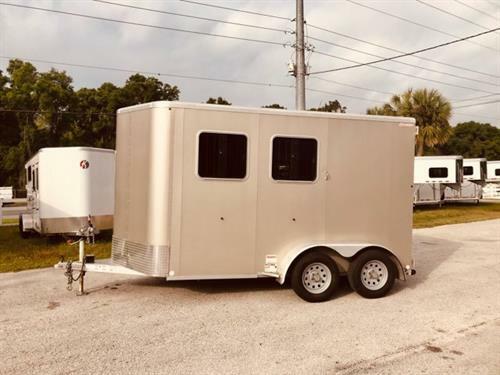 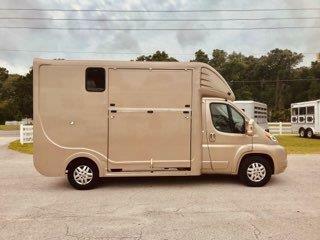 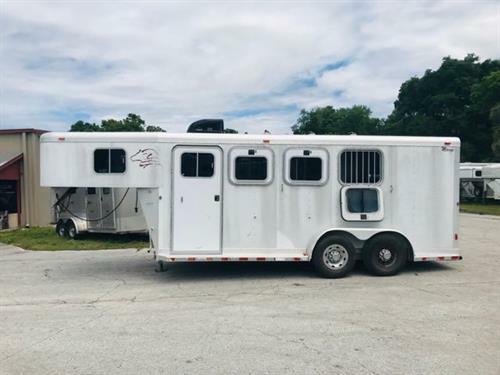 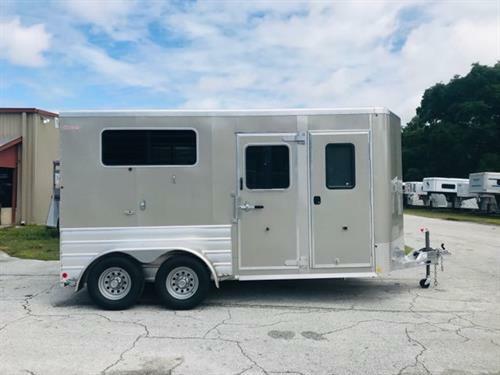 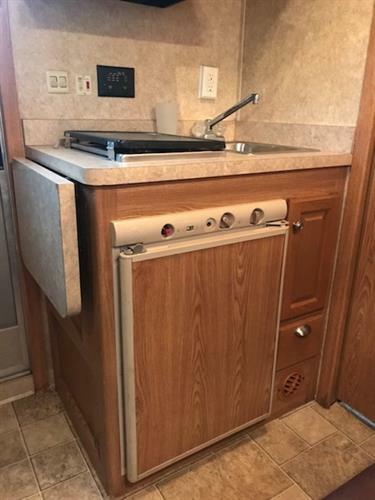 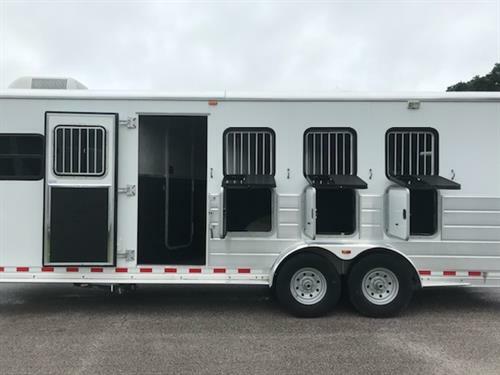 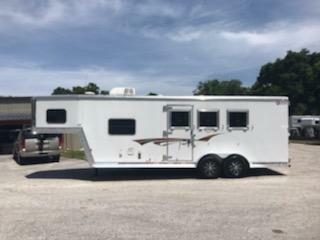 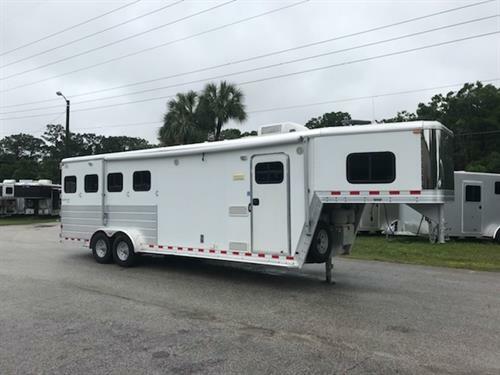 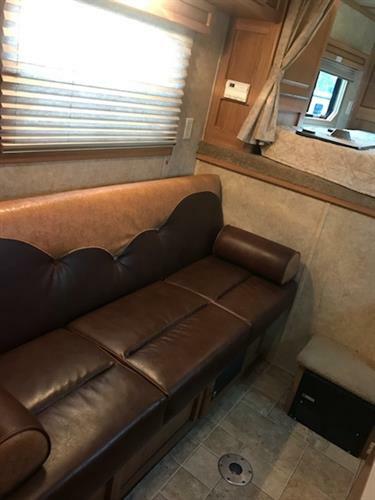 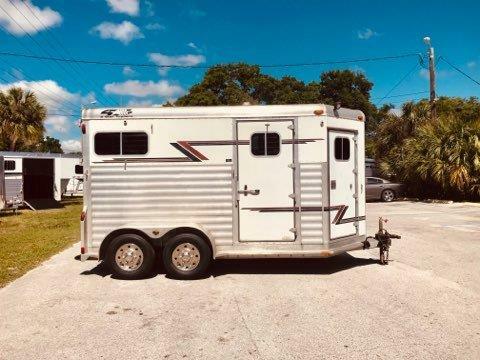 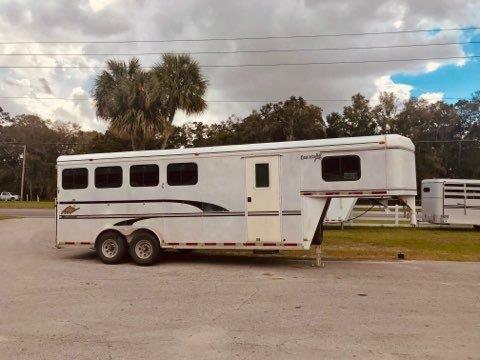 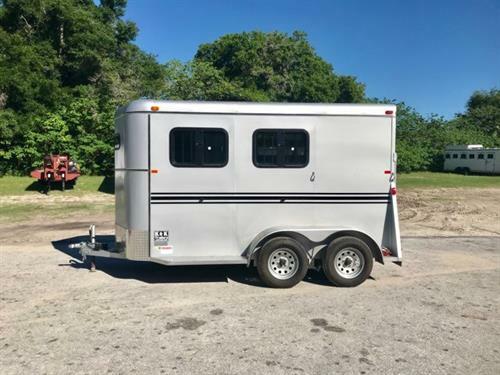 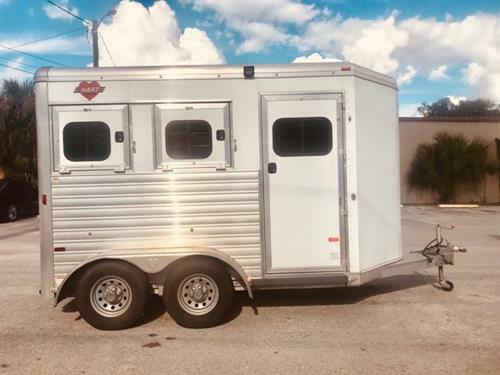 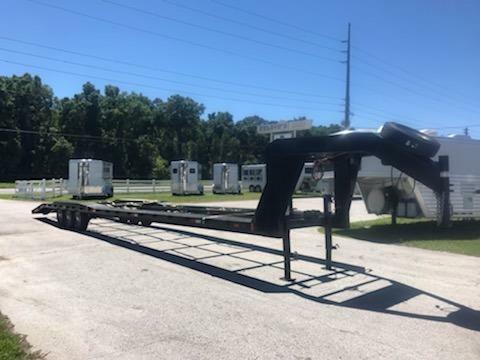 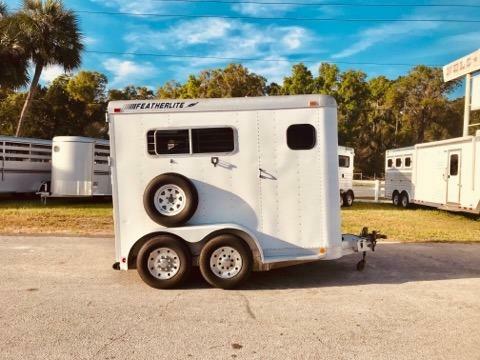 2006 Kiefer Genisus (4) horse living quarter with an 8’ conversion that has an A/C unit, couch that folds into a bed, microwave, sink, (2) burner cooktop, 3cu fridge/freezer, cabinets, closet space, radio and a bathroom. 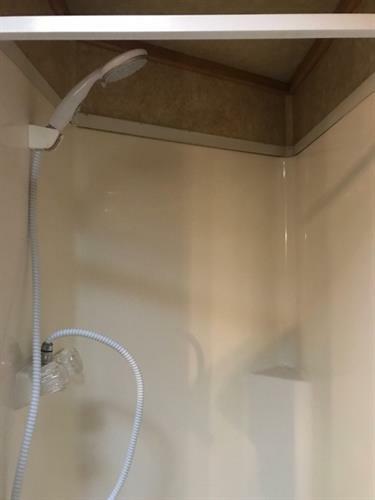 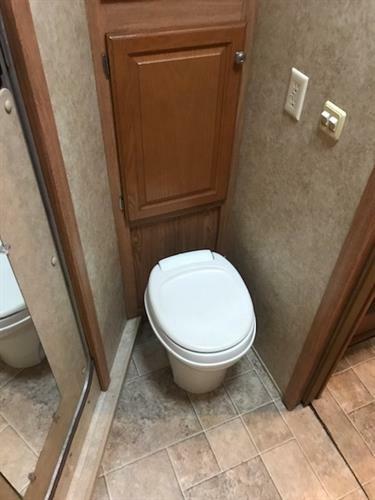 In the bathroom you have a toilet, shower, linen closet and a walk thru door into the horse compartment. 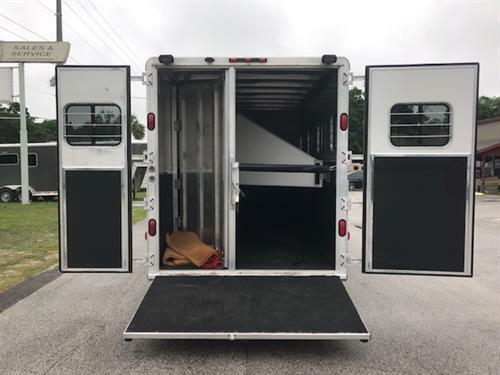 In the horse area you have an interior height of 7’6” tall x 7’ wide, escape door, drop down windows at the horses heads with drop down aluminum bars, sliding bus windows at the horses hips, roof vents, feed mangers with outside storage, rubber lined & insulated walls, rubber mats over all aluminum floor, rear collapsible tack room with saddle racks, bridle hooks and double back rear doors with a rear ramp! 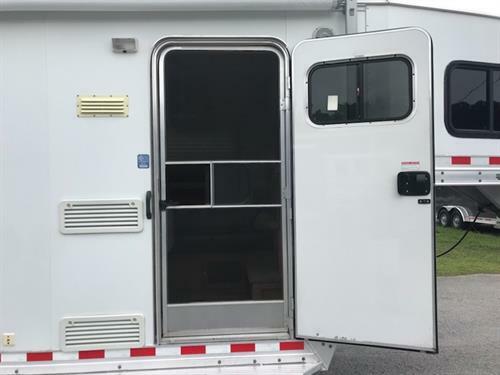 The exterior has a hydraulic jack, awning and spare tire.